Sports: Baseball, Football, Tennis Ball. 2015. A Recently Sold Painting by Jason Oliva. 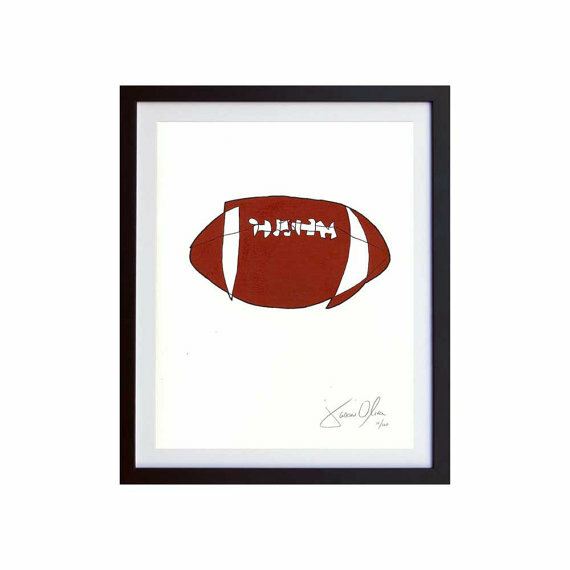 Sports: Baseball, Football, Tennis Ball. 2015. Acrylic on Canvas. 55″ x 35″. 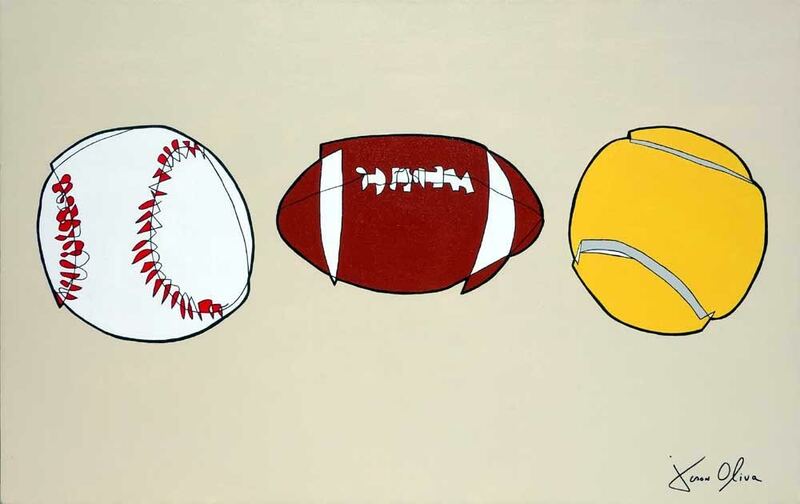 A few months ago I was commissioned to paint the above work, titled ‘Sports: Baseball, Football, Tennis Ball’. 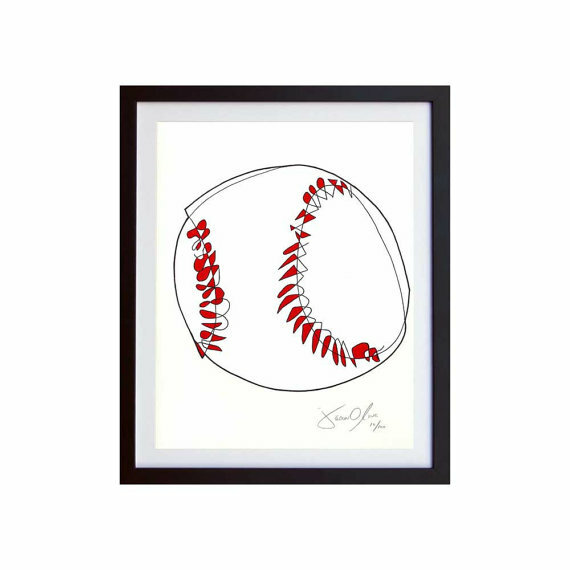 Its subject matter borrows directly from three of my original paintings, Baseball. 2006, Football. 2006 and Tennis Ball. 2015. 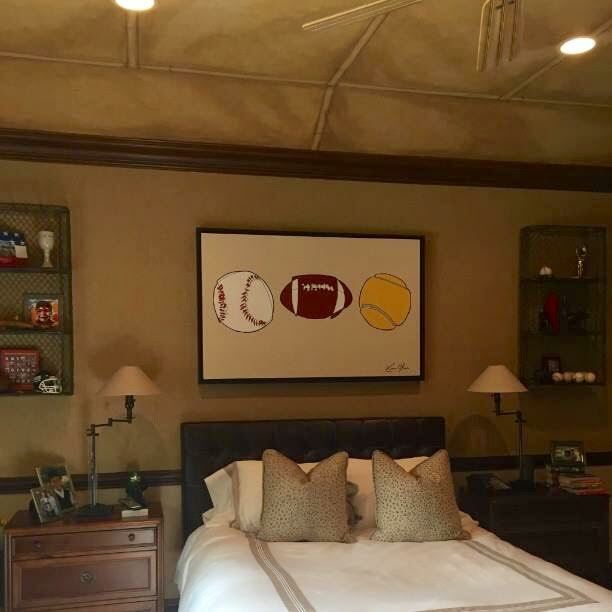 Both the Baseball and Football paintings have since sold. 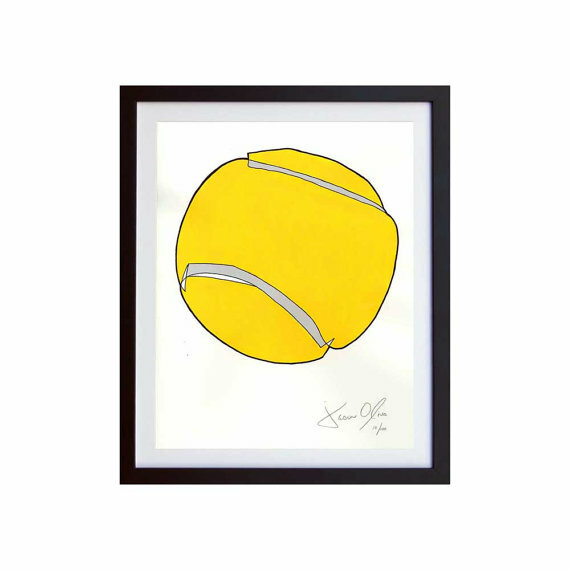 I painted Tennis Ball on raw linen and framed it in a high quality, floated black frame. This painting is currently on display in my Tribeca studio and is for sale. Sports: Baseball, Football and Tennis Ball. 2015. (Private collection. New Jersey). 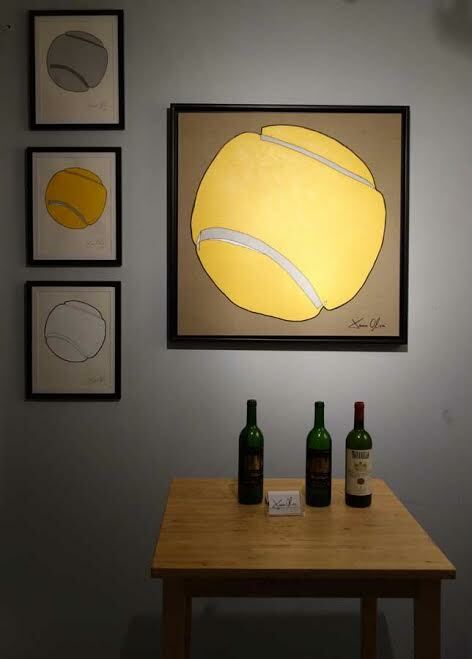 Many of my original sold paintings exist as limited edition, hand painted, Works on Paper, including Baseball, Football and Tennis Ball. To view these and to find out more you can visit the Jason Oliva Online Etsy Store. Football. Small Work on Paper. Limited edition of 100. Baseball. Small Work on Paper. Limited Edition of 100. Tennis Ball. Small Work on Paper. Limited Editon of 100. Jason Oliva in Tribeca Studio, NYC. 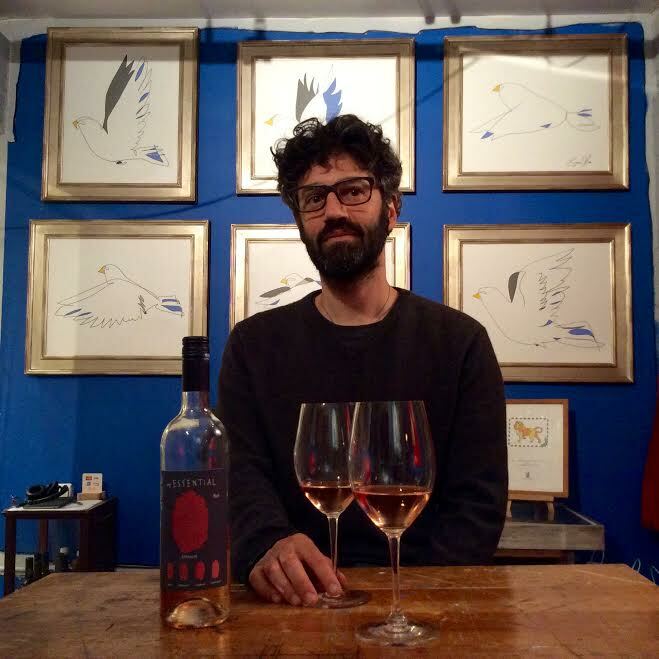 (Bird paintings in the background for sale). Everyone is welcome. There will be wine!